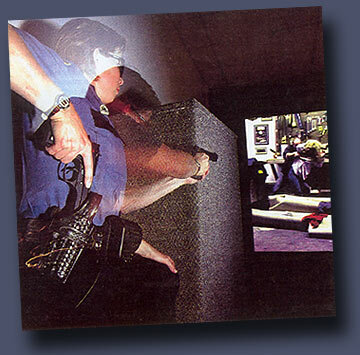 Professional weapons, judgment, evaluation and simulator training for law enforcement departments and personnel. Advanced instruction, performance evaluation, and program management for state of the art use-of-force training. While the AIS PRISim (Professional Range Instruction Simulator) system includes a comprehensive training program, many law enforcement units have additional specialized needs. To meet those needs Big Rush Inc. offers a full range of training support for organizations that use (or may not yet use) the PRISim system. The kind of experience you want behind your weapons training program. Big Rush Inc. instructors are veteran RCMPolice and military trainers and firearms instructors who have trained thousands of personnel using both live fire firearms and simulators in Canada. They utilize specialized training scenarios adopted by agencies nationwide to train for Airport Tactical, Corrections, Patrol, Shoulder weapon response, Chemical agent, Impact weapon, Flashlight and Firearms techniques. Their professional experience has qualified them to provide expert testimony in use-of-force cases. Superb support for on-going PRISim System training under the leadership of professional law enforcement officers. Big Rush Inc. instructors offer your department three training options to supplement your own training resources or to provide a turn-key training program.